We are delighted to feature in Issue 2 of the Irish building magazine 2018. We worked alongside Arup with Flynn Management & Contractors on the South Gates Facility at Dublin Airport, which opened in December 2017. The gates were constructed on a live airport campus where we faced challenges of security and safety, adding to the complexity of the project. Our work on the Old Richmond Hospital also featured, having worked alongside Townlink Construction. The project was shortlisted for the Conservation/Heritage Category in this year’s Irish Construction Excellence Awards. The hospital building has been transformed to a state of the art education and event centre for the members of the INMO. We were delighted to take part in the RIAI's Simon Open Door initiative this year. A big thanks go to all the participants, who made this such a great success for a fantastic cause. We're looking forward to next year already! The fountain to the forecourt of the INMO has been fully completed. A welcome display for visitors to the new INMO Education and Event Centre in the former Richmond Hospital. Kavanagh Tuite have transformed this important landmark and protected structure, to a state of the art education and event centre for the INMO's forty thousand members. 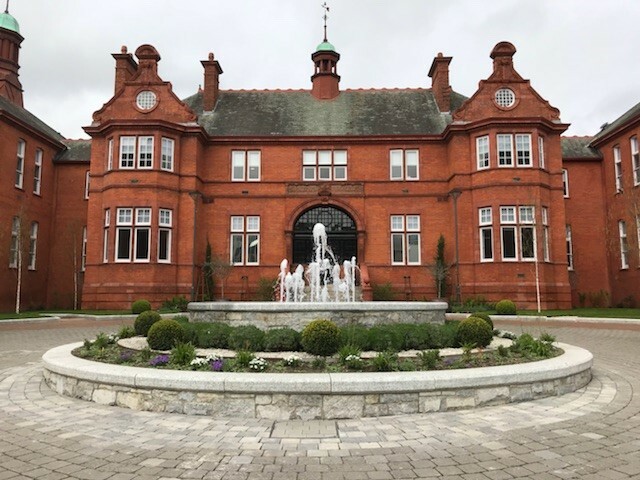 The wonderfully restored building was also recently shortlisted in the Public or Heritage Building / Conservation or Restoration category at the Irish Construction Excellence Awards. A big thank you to P.J. 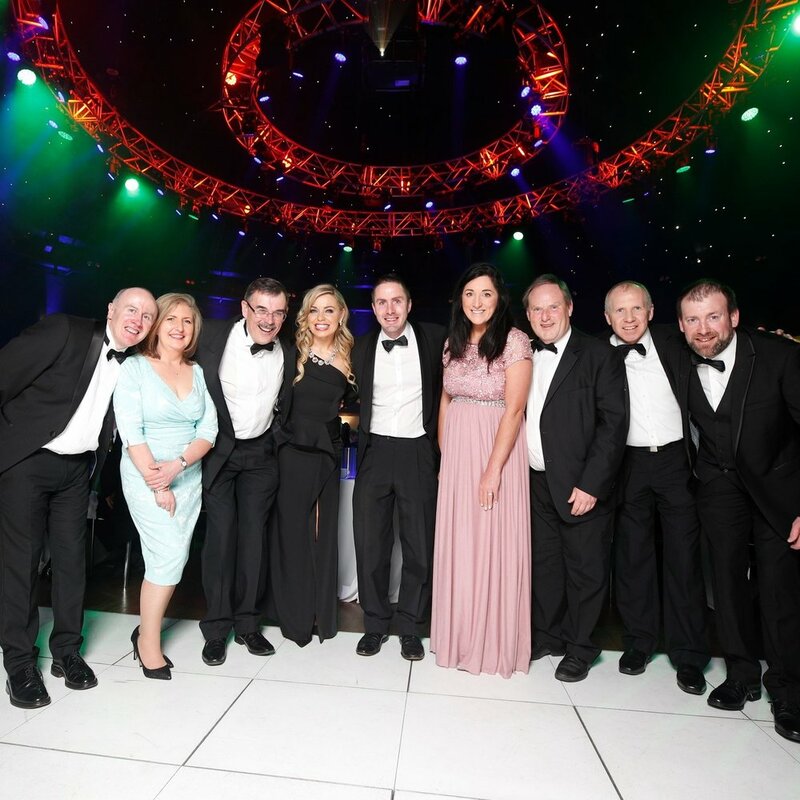 Hegarty & Sons, Townlink Construction and Kilcawley Construction for a great night's entertainment at the #ICEAwards last Friday in The Mansion House. In the picture above, Joe O'Neill is seen with the team from Townlink Construction. We had a fantastic night and were proud to have been nominated for awards in such distinguished company. Congratulations to all the winners! This €22 million boarding gate area was officially opened on 11th December, 2017. Located south of Terminal 2, work on the new area started early in 2017 on a fast track programme. This facility will service nine aircraft stands on the South Apron providing a comfortable waiting area from which passengers will be able to walk directly to the aircraft for boarding. The new South Gates area, which will be used mainly by Aer Lingus for flights to the UK and continental Europe, has five boarding gates serving nine aircraft parking stands. The South Gates boarding area is part of a €100 million plus investment programme at Dublin Airport this year, as improvements are made to existing passenger and airfield areas and new facilities are delivered. The facility comprises a single storey structure of lightweight modular construction to meet the demands of the rapid construction programme. The 2,200 square metre facility was built offsite in 80 modules and then transported to Dublin Airport for final assembly. The gates have been designed to accommodate departing flights in the busy early morning period and arriving flights in the evening. The new facility can also be segregated so that departing and arriving passengers can be processed at the same time. Shuttle buses will transport passengers to and from the new boarding gates. The new building can accommodate almost 1,000 passengers and includes a café, toilets, baby changing facilities and a workstation area with plugs and charging points. 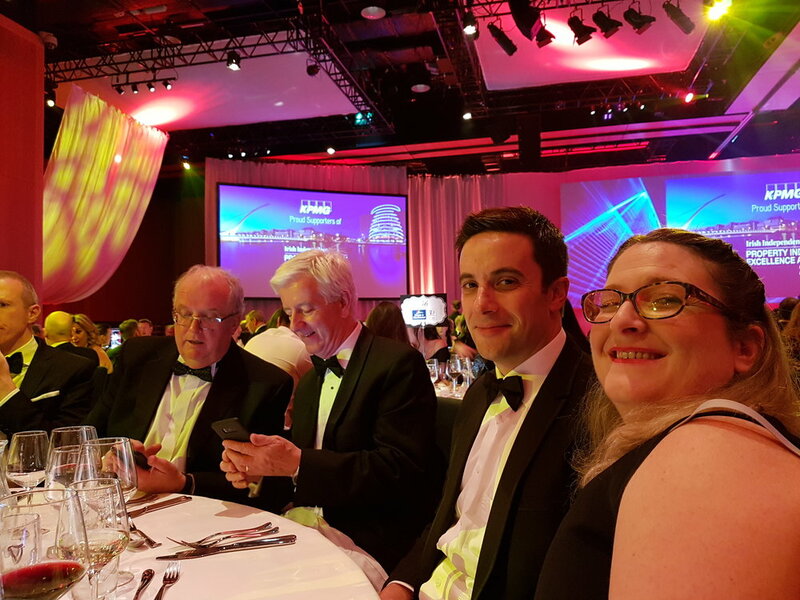 We were in good company last night at the KPMG Careers Ireland Property Excellence Awards at The Convention Centre Dublin. 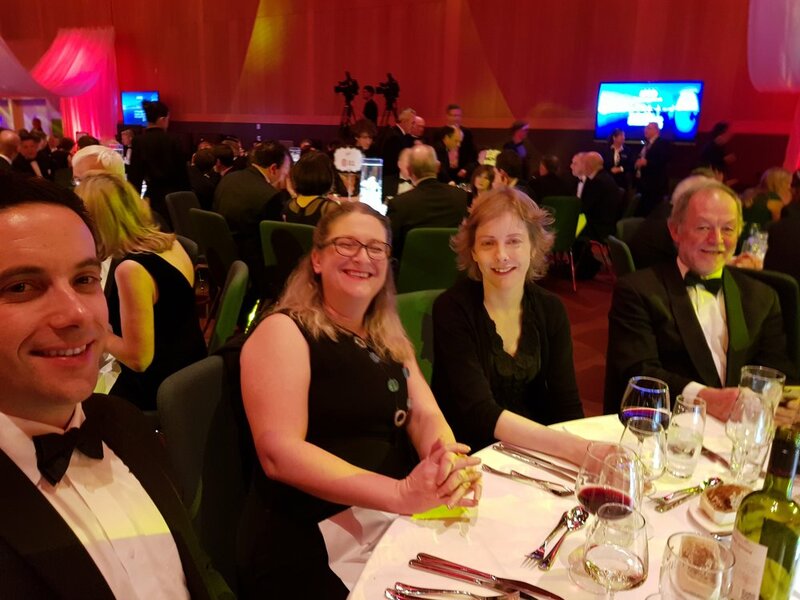 We shared a table with people from Kilcawley Construction and Proteus Consulting Engineers, companies that were central to the delivery of Doyle Shipping Group's new office in Dublin Port. For our work on this project, we were shortlisted for the Excellence in Planning category. 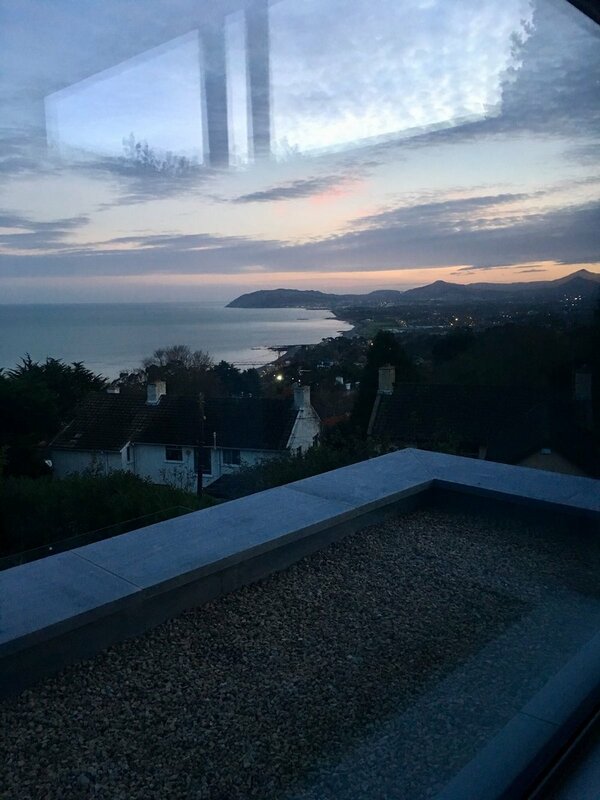 Here's a picture of our colleague Simone during the concluding stages of a fantastic residential project in Killiney. The Association for Heritage Interpretation have announced the results of the AHI 2017 Discover Heritage Awards – for excellence in cultural and natural heritage interpretation in Britain and Ireland. The judges were very impressed with the way a very contentious subject was told in a remarkably balanced and respectful manner. The experience was engaging and immersive without being trivialised or sensationalised. Kavanagh Tuite send their congratulations to Mark Leslie and all who contributed through Martello Media. We're delighted to feature in this year's KPMG Independent.ie Property Industry Excellence Awards. Our work with Doyle Shipping Group has been shortlisted in the "Excellence in Planning" category, and is a testament to all the hard work of our fantastic team. The award winners will be announced on Thursday, 23rd November at a dinner to be held at The Convention Centre Dublin. We were delighted to work on this building for IDA Ireland's Emerging Business Division in the Athlone Business & Technology Park. The design of this building promotes high level daylighting, glare control, robust internal finishes, generous heights for additional mezzanines and high quality materials: sheer metal modular cladding and glazing systems set off by judicious use of stone with high value insulation and air tightness. Envelope, internal layout and site layout were strategically planned for efficiency and expansion. Materials were evaluated according to LEED methodologies and certification. Site design complies with the sustainability agenda. Landscaping is simple and elegant, reliant on native species in its rural surroundings. We're delighted that our work with @doyleshipping was honoured with a highly commended award @archexpo. There was a great turnout at the Irish Architectural Archive last night for the Irish Georgian Society Awards, as Lindsay Conservation Architects scooped a deserved award for The Shelbourne Dublin, a Renaissance Hotel. We were shortlisted for conservation works to the internal courtyard facades of GPO Witness History. It was lovely to see the diversity of entrants and judges, chaired by Edward McParland. It was truly humbling to be shortlisted among so many outstanding entries, and it's also fantastic to see the steady growth of awareness of our built environment. 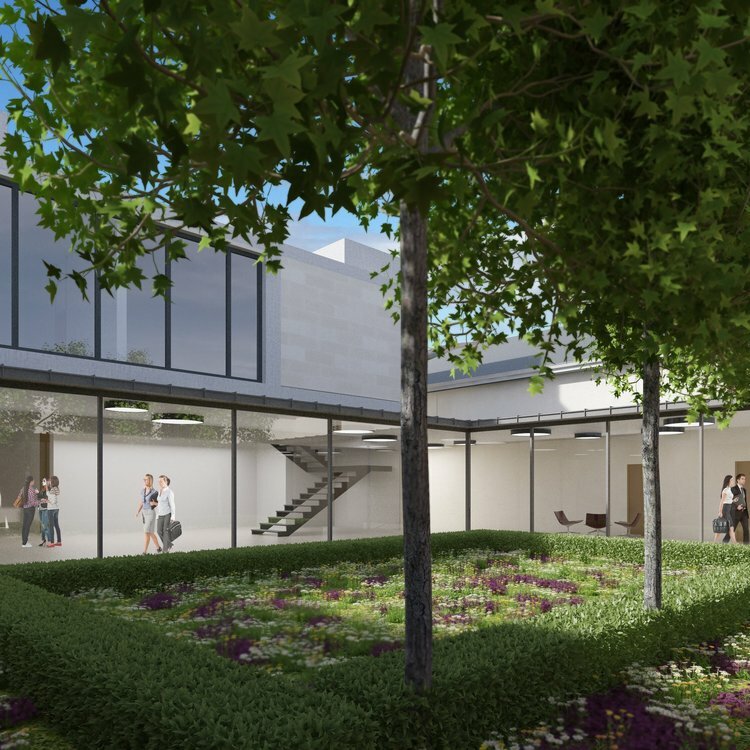 We are presently designing the East Quadrangle phase of NovaUCD at Merville House. This follows our work on the earlier phases of Nova at Merville House in 2002-2006. Merville House is a remarkable building which resonates strongly a unique sense of place. This feeds positively into the entrepreneurial culture of University College Dublin Nova. The East Quadrangle will complement Nova Innovation Centre at Merville House and further increases the visibility of this key university activity which promotes innovation from within academia. GPO Witness History has won the Micheletti Award 2017 from the European Museum Academy at the Awards Ceremony in Skopje, Macedonia. The Luigi Micheletti Award is the European prize for innovative museums in the world of contemporary history, industry and science. It is one of the leading activities of the Luigi Micheletti Foundation. The judges said : The Centre is a perfect example of 20th century history in retrospect, dealing in an even-handed way with a very emotive subject, which would have been impossible even a decade ago. It is an extraordinary achievement, an historical challenge with has been transformed into a reconciliation centre which also poses questions for the future. Our warmest congratulations go to the whole team. Kavanagh Tuite send their congratulations to Mark Leslie and all at Martello Media.